One common excuse often given by people who don’t floss is that the practice is difficult to fit into their daily schedule. If you’ve found this to be true, and feel like you are too busy to floss, here are some suggestions for when to fit this critical dental health habit into your day. Right when you wake up is also an option, but if food is left between teeth all night, it can bring about plaque. Try just after lunch, before you go back to work. Keep some floss in your gym bag so you can floss after you exercise. I hope this gives you some beneficial ideas to help you make flossing part of your daily routine. 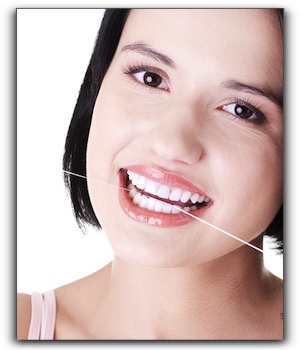 Flossing is vital for anyone in Seattle who wants to have a healthy smile. If you want to upgrade your smile, look into cosmetic dentistry procedures such as prepless veneers, invisible braces, teeth whitening, or dental implants. My name is dentist Brian McKay. Helping my dental patients establish good habits is important to me, as well as helping them attain the smile they want with cosmetic dentistry procedures such as veneers, teeth whitening, and complete smile redesigns. We are currently accepting new patients, so give us a call at 206-720-0600 to make an appointment! ‹ What Does Your Seattle Dentist Need To Know? Use the form below to ask a question about Find A Few Minutes To Floss and one of our expert team members will get back to you shortly.